Manik Cristal Añejo is perfect alone or in a special cocktail. 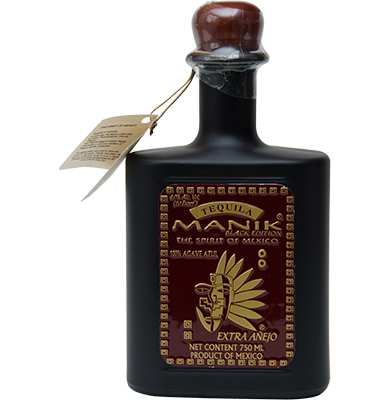 Manik Black Extra Anejo is a truly special and unique addition to the Manik line of premium 100% agave tequilas. Manik Black is aged a full 5 years in reconditioned oak barrels which were used previously to age fine bourbon. The result is a drinking experience as elegant as the sleek black bottle from which it is poured. Strong influence of barrel aging creates a special tequila which marries the fresh agave flavor with the sweet essence of the bourbon and the creamy vanilla of the oak. 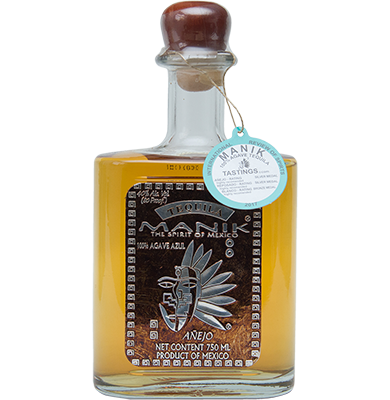 Manik Añejo is a premium tequila that greets you with a rich, amber color naturally attained while aging in the barrel for 2+ years. Your nose will tell you immediately that the agave has married well with oak, with vanilla overtones. The flavor starts strong with a hint of sweetness, and evolves into a full-bodied, cognac-like experience. There are complex flavors of peppery agave, creamy oak and citrus that join forces to make this a connoisseur’s dream. Sip as you would a fine whiskey or cognac. Great with fresh fruits, like ripe mango, or a good cigar!. for a very special top-shelf margarita. 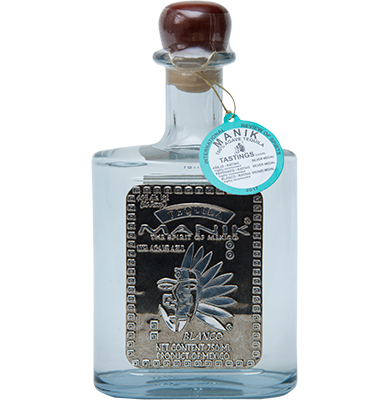 Manik Blanco is a premium 100% agave tequila produced in the heart of Jalisco, Mexico, from mature lowland blue agave. 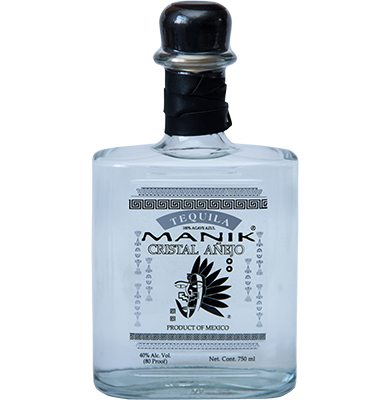 Manik Blanco is tripled-distilled to eliminate impurities and create a crystal clear tequila that delivers pure, crispagave flavor. The nose imparts none of the “chemical” odor of some tequila, only fresh agave. 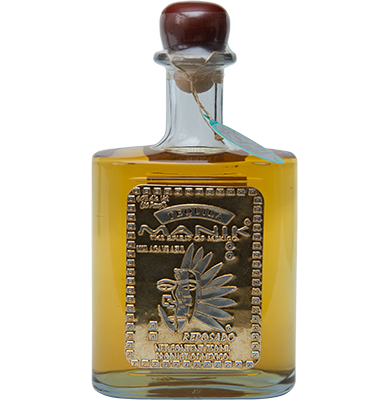 On the palate, you experience 100% agave from the moment it enters your mouth; this is a very smooth tequila, but not to be confused with some of the more commercial tequilas that bring a “watered-down” taste. This is the true essence of tequila: the pure agave flavor, smooth but peppery, with a warm, clean finish.